This year we invite you to share the joyful news of Immanuel, God among us. As a special Christmas gift to share with those you love, we would like to offer you several cards, including two Mass enrollment cards that carry with them the assurance of the prayers of the Redemptorists of the Baltimore Province. We invite you to visit our gift shop to view our selection of cards. 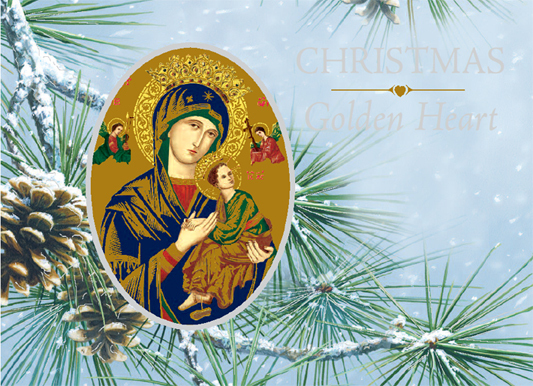 The Christmas Golden Heart cards, which honor someone you love, living or deceased, offer the gift of daily Mass prayed by a Redemptorist for one year beginning on Christmas Day. When you send a donation for these Christmas cards, you and your intentions will be remembered in a Novena of Peace that will be prayed during the nine days leading up to Christmas. 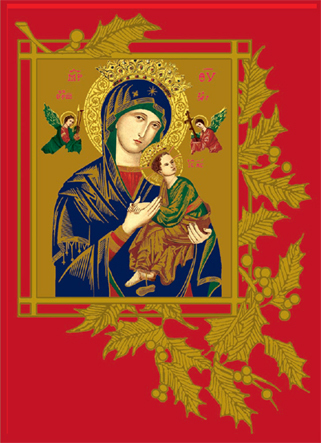 The Christmas Spiritual Bouquet cards, also meant to honor loved ones living or deceased, offer a Solemn Octave of Masses prayed in Rome beginning Christmas Day and ending January 1, 2010. These Masses will be celebrated in front of the original icon of Our Lady of Perpetual Help at the Mother Church of the Redemptorists in Rome. We hope you’ll join us this Christmas in spreading the good news of God’s bountiful redemption in Jesus. And we thank you for your gifts that help us continue to spread this message of love to all those we meet.